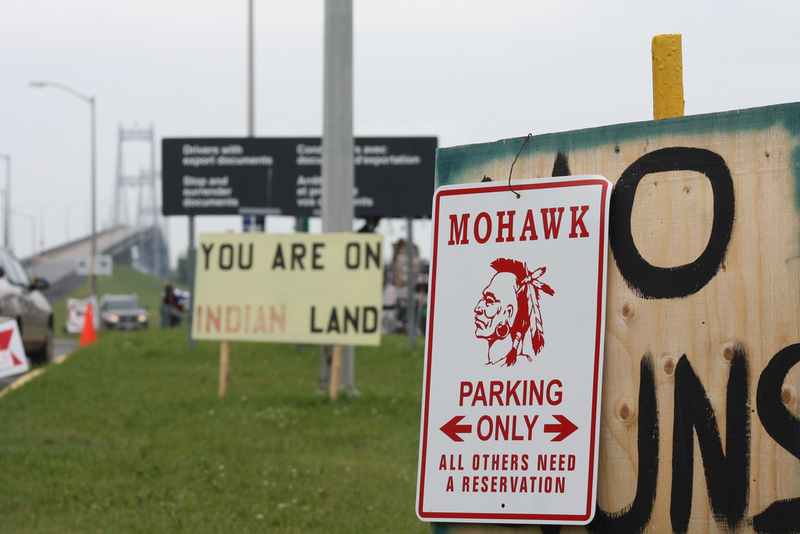 Indian Country Today reported on the near two-month standoff between Canadian Mohawks and the Canadian government over the arming of border guards stationed on reservation land, which has caused serious economic issues for all parties involved (click photo to read more). The Nation published an essay by Huwaida Arraf of the Free Gaza Movement in which she reflects on her group’s most recent failed attempt to enter Gaza and the general plight of the Palestinian people. openDemocracy says the recent victory of Chinese internet users over a government plan to monitor access is a sign of their emerging political power. NACLA Report on the Americas has a great piece about Peruvian president Alan García’s continuing war against the indigenous people, despite the recent revocation of his decrees to open Amazonian land to development. ABC News in Australia reported on a remote Aboriginal community in the Northern Territory, where 150 people have been protesting poor housing conditions in their government-owned and overcrowded homes, as well as federal intervention in matters such as income management. Inter-Press Service reported on a movement made up of 25 international, national and local groups calling on the Colombian government to halt the gold exploration activities of the South Africa-based mining giant AngloGold Ashanti. Nigerian newspaper This Day says the country is gradually being shut down by perpetual industrial actions from nearly every sector. The Socialist Worker has a piece explaining how the LGBT people and their allies managed to build one of the largest civil rights movements in San Diego, one of the most conservative cities in the state. Global Voices examined the persecution of bloggers in Honduras by hackers and the complicity of internet giants Google.